As Dale and his strange fellowship fight for their lives against Gorgs that, time and again, materialize out of nowhere to attack them, (think really mean, really ugly and really powerful ogres - big brutes with a serious attitude problem) they come to the realization that the entire world is under attack by a magical force that survived the Wizard's War thought to have ended over fifty thousand years earlier. The world's only hope for survival against an impending all-out attack rests with Dale's technological know-how reaching the city of Villenspell and enlisting the magical aid of the City of Wizards! The obvious themes of "fellowship", "quest" and "world survival" beg for the reader to compare Wizard's Bane to Tolkien's classic "Lord of the Rings". I wouldn't presume to make such a grandiose comparison but it is clear that Crystalwizard has succeeded admirably in drawing on the work of the giants before her while still injecting a dose of originality that is at once charming, thrilling, humorous, moving and unique in its own right! As the first novel of a six-part epic, Wizard's Bane focuses primarily on the character development of the "fellowship" and the realization of the extent of the trouble the world is really in as it comes under attack from the Gorg army. In a manner reminiscent of Clifford Simak's warm pastoral style of writing, Crystalwizard's characters are realistic, personable, down-home and easy for any reader to identify with and care about. Her credible, completely natural dialogue flows easily and there are plenty of light moments that will cause a chuckle or a wry smile. That "Wizard's Bane" barely gets revved up on the plot can be forgiven on the understanding that there are five novels left for the now eager reader to enjoy. Where Wizard's Bane creatively departs from the standard medieval based sword fantasy is Crystalwizard's unique marriage of sci-fi and creative technology with good old-fashioned wizardry and magic - the science even touches quite clearly on relativistic concepts of time dilation and space warping! 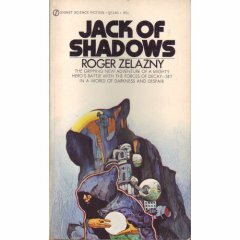 Highly recommended for lovers of both sci-fi and fantasy! In fact, I can't think of a better book to introduce devoted readers of one genre to the joys of the other! I think I'll head off to the bookstore to look up a copy of "Villenspell - City of Wizards". As I indicated, I thought it was just a teensy bit too slow off the mark with the plot development. I was willing to forgive it because I knew there were still five novels to come in the series, but it detracted somewhat from the quality of this novel considered by itself. A glowing review. Why did it only get four stars?